The 100 watt, 120 Volt Wall Space Heater, plugs into a standard outlet. Comes with a 6ft power cord. Included - Standard mounting kit included -drilling necessary, ideal for wall installation and not for under the desk; installs in less than 5 minutes. It uses the principle of heat convection, the hot air rises and gets displaced by cooler air. The Amaze-heaters do not have built-in fan; therefore, there is no noise and no stirred-up dust; this eliminates airborne dust problem and is ideal for people suffering from asthma or allergy issues. Comes with Heat Reflector to minimize heat loss to the wall. Stay comfortable as the outdoor temperature drops with the Comfort Zone Oscillating Ceramic Heater. It features a high-power, high-performance option suitable for a variety of households. This Comfort Zone oscillating heater has a shut-off function that detects tipping over and overheating to provide added safety during use. A stay-cool body helps to reduce operating temperature and a built-in handle makes carrying more convenient. Amaze- Heater 100-Watt Ceramic Electrical Wall-Mount Space Heater With Standard Mounting The 100 watt, 120 Volt Wall Space Heater, plugs into a standard outlet. Comes with a 6ft power cord. Included - Standard mounting kit included -drilling necessary, ideal for wall installation and not for under the desk; installs in less than 5 minutes. It uses the principle of heat convection, the hot air rises and gets displaced by cooler air. The Amaze-heaters do not have built-in fan; therefore, there is no noise and no stirred-up dust; this eliminates airborne dust problem and is ideal for people suffering from asthma or allergy issues. Comes with Heat Reflector to minimize heat loss to the wall. Amaze- Heater 100-Watt Ceramic Electrical Wall-Mount Space Heater With Standard Mounting is rated 5.0 out of 5 by 2. Rated 5 out of 5 by Happy Customer from Perfect little heater for under a desk It's silent and warm and it doesn't cook your feet like heaters with fans sometimes do. Yes, the 100W heater or any other Amaze Heater can be use in a bathroom. The 100W in particular is designed to heat on close proximity to to the user and might not heat a full bathroom. To heat the whole bathroom you may need to go with either the Amaze Heater 250W (up to 80sq ft) or 400W (up to 120 sq ft) units that are proper for bigger areas. 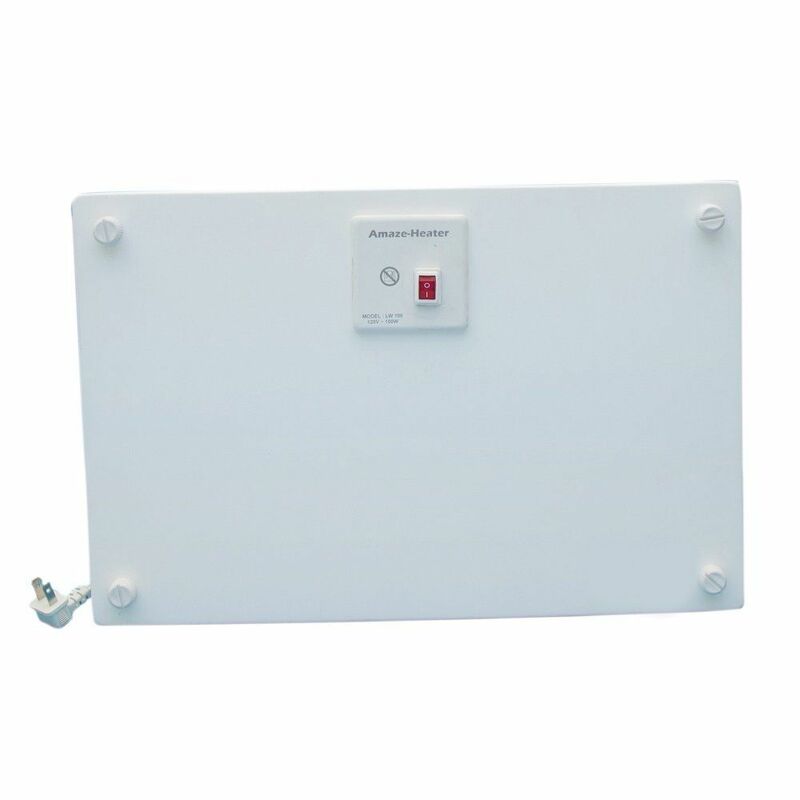 This is a zone heater designed for small areas such as under the desk, etc. The heater shouldn't be so far away from the user.